Discussion in 'Online Casino Promotions' started by Ellis, Oct 22, 2014.
with real good looking live dealers. Right now they have such a nice promotion at Royal Vegas Casino, if you would like try out your luck at their live dealer games. All you need to do is login to your Royal Vegas Casino software and make your deposits. You can claim a 25% cash back bonus if you play baccarat, roulette or blackjack. 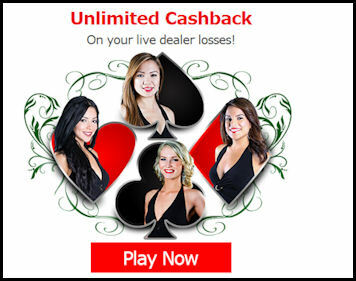 So if you never played any live dealer game, then you might want to give it a go. This promotion runs until October 22, 2014 and your you will receive your cash back on October, 23 2014.
on your second 25% and on your third you get a 50% bonus. Plus they have also great Slots and Blackjack tournaments where you could win free cash!